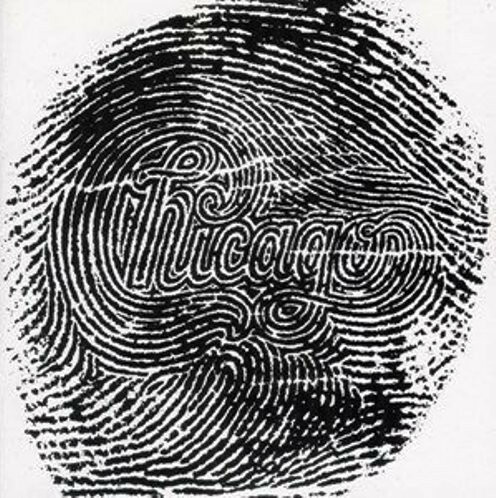 Confusingly, Chicago’s non-studio product was also given the Roman-numeral treatment, so this is technically only the band’s eighth proper studio album. [Chicago IX, which we’ve skipped here, is the first greatest-hits package released by the band.] 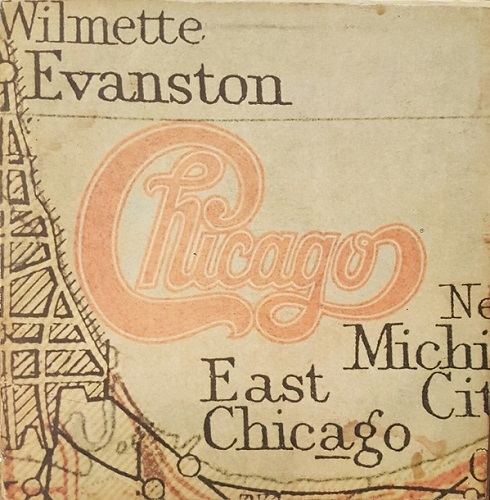 The writing’s a tad less strong than it was last time around (“Skin Tight” and the full-band singalong “You Get It Up” in particular feel especially slight), but the album is both warmer and the mood more relaxed than its immediate predecessor, making the disc more akin to the sound of Chicago VII than Chicago VIII. If you only know the band for its Top Ten singles, you might be surprised by how many minor gems there are to be found here. “You Are on My Mind,” a rare vocal turn from James Pankow, is one of the band’s more jazzy pop tunes, and Pankow handles the song’s syncopated melody line with ease. The raucous rock-and-soul hybrid of Terry Kath’s “Once or Twice” comes across like Wilson Pickett covering David Bowie’s “Suffragette City,” while Cetera’s “Mama Mama” explores more lush soul territory to equally appealing results, the juxtaposition of Cetera’s vocal (one of his softest yet) and the wah-wah guitar working surprisingly well. The minor Top 40 hit “Another Rainy Day in New York City” is a rare Latin-tinged excursion from the group. The disc also sports the band’s first-ever Number One single in the wistful balladry of Cetera’s McCartney-esque “If You Leave Me Now,” an instant soft-rock classic that still sounds fabulous to this day. The last album the band would ever record with Terry Kath (the guitarist would tragically die later in the year from an accidental self-inflicted gunshot), Chicago XI definitely has its gems, but it suffers slightly from both a curious shortage of obvious singles (one suspects that the band’s principal composers must have been suffering from a serious case of writer’s block here, not in the least since Danny Seraphine, whose past writing contributions were limited almost exclusively to instrumentals, is responsible for writing two of the three singles here) and a slight lack of cohesion that makes the disc feel as if it were pieced together from different recording projects altogether. Cetera strangely contributes only one song this time around, but it’s a big one (the Top Ten hit “Baby, What a Big Surprise”), and Pankow only has one writing credit as well (the Fats Domino-recalling “Till the End of Time”), while even Robert Lamm only has two writing credits here. (“Vote for Me” is particularly amusing, but neither it nor “Policeman” sounds like it was meant to be anything more than an album cut.) Seraphine’s “Take Me Back to Chicago” (featuring Chaka Khan on backing vocals) and the lush lite-soul balladry of “Little One” (both co-written with David “Hawk” Wolinski from the R&B outfit Rufus) both surprisingly rank among the strongest cuts here and surpass both of Lamm’s contributions in quality, even if they don’t quite sound like the hits Columbia apparently thought they were. The album’s secret weapon fittingly turns out to be Kath, who both delivers the album’s most stirring vocal performance with his reading of Seraphine’s “Little One” (a brilliant choice of closer for the record) and writes the two most fun cuts on hand here, “Mississippi Delta City Blues” and “Takin’ It On Uptown,” both of which feature the most gritty funk the band has ever committed to disc. 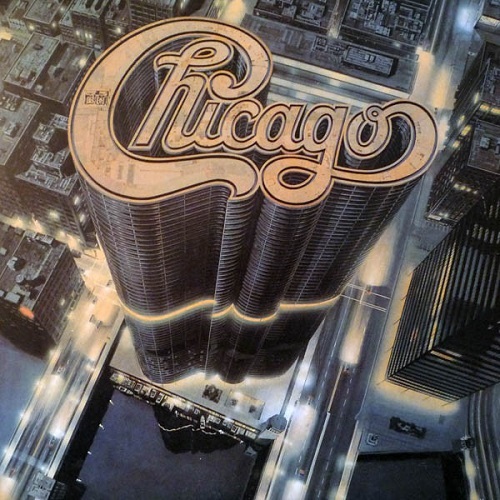 On a purely artistic level, Chicago never truly recovered from the death of Terry Kath and their near-simultaneous split from longtime producer James William Guercio, and the band almost immediately thereafter lapsed into an identity crisis that would take them years to work out. Kath’s void has been filled here by Donnie Dacus, a perfectly good guitarist who simply lacks a voice – either as a songwriter or as a singer – even half as distinctive as Kath’s. Guercio has been replaced by Phil Ramone, best known at this point for having helmed Billy Joel’s The Stranger and a top-drawer producer who’s simply a mismatch for a band of this ilk. But the band has done more than just change a guitarist and producer – it’s dispensed with the Roman numerals; opted for the first time to use a group photo for the album cover in lieu of a variation of their iconic logo; and, most surprising of all, they’ve gone disco. 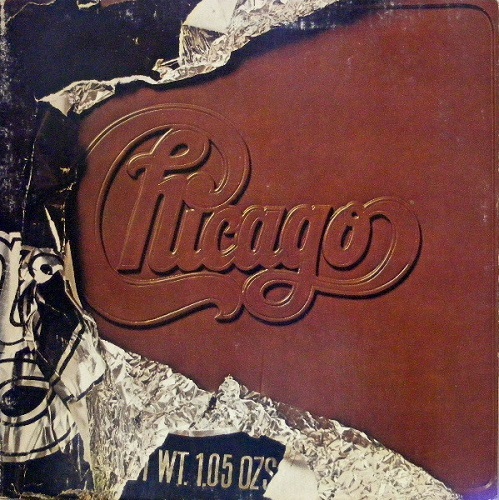 “Love Was New,” “Show Me the Way,” and “Take a Chance” are all fairly ridiculous, and the unexpected guest appearance by the BeeGees, who provide backing vocals on “Little Miss Lovin’,” is absolutely jarring, but the disco excursions aren’t all bad – the Lamm-penned title cut retains just enough of Chicago’s signature sound and charm to not seem nearly so calculating, while Pankow’s delightful “Alive Again” (one of two Top 40 hits to be found here) simply plays like “Old Days” with a heavier emphasis on Seraphine’s hi-hat. 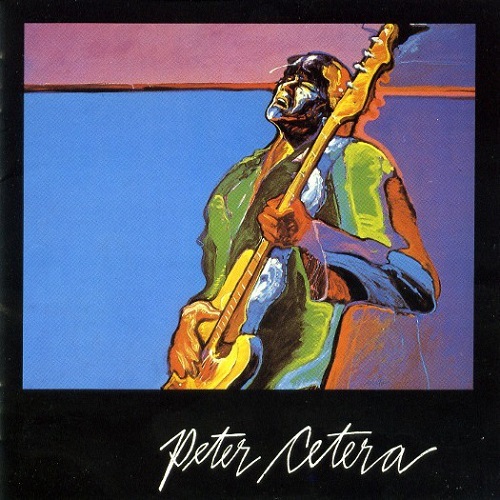 But it’s Cetera who’s responsible for singing and writing the two most tasteful songs here, the gently-rocking acoustic pop of “Gone Long Gone” and the lovely adult-contemporary ballad “No Tell Lover,” which followed “Alive Again” into the Top 40. Still, even Cetera’s efforts can’t prevent this from being Chicago’s spottiest album yet by far. 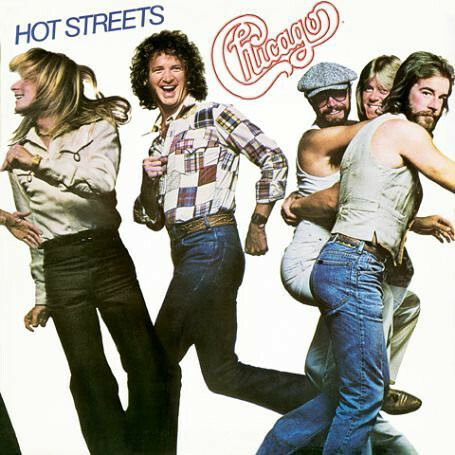 Easily their most notorious album, Chicago 13 has a reputation for being the band’s most disco-oriented album, but it’s really not – that title arguably belongs to Hot Streets. But a twelve-inch single of this album’s opening cut was nonetheless ceremoniously burned at the infamous Disco Demolition Night at Comiskey Park that hastened the death of the genre – not to mention the band’s commercial fortunes, since this album would stall out at #21 and become the band’s first disc to fail to yield a single Top 40 hit. But the album’s much, much more listenable than its reputation might have you believe (mind you, it’s still not great, but it’s at least as good as Hot Streets), and the group also seems to have taken the criticisms of its last album to heart, not in the least since they’ve gone back to employing its iconic logo in the cover art and simultaneously reverted to giving its albums numeric names. The disco-tinged opener “Street Player,” despite its notoriety (in spite of the fact that Chicago wasn’t even the first to record it; it’s technically a cover of a song Seraphine co-wrote for Rufus the prior year), would go on to be sampled in Pitbull’s international smash “I Know You Want Me (Calle Ocho).” Both Cetera’s insanely catchy “Mama Take” and the Joe Walsh-like “Must Have Been Crazy” (both sung and written by Dacus, the band’s lone single to be sung exclusively by Dacus) are firmly planted in rock territory, while Lamm’s disco-laced “Reruns” shifts into full-rock mode for its driving choruses. But the front-loaded album starts to give way about halfway through to a series of misguided experiments, be it the cheesy lite-disco of “Paradise Alley” and “Life Is What It Is” or the downright bizarre “Window Dreamin’” and “Aloha Mama,” both of which are sung by the mysterious “P.C. Moblee” (actually an alias for Cetera, who employs a radically different singing voice on the two cuts.) The first three songs make this disc worth a spin, but you may want to skip the rest. Their worst-selling album yet (Pankow’s joked in interviews that it “went aluminum – maybe plywood”), there are no hits here and this remains the band’s least well-known album, but this is easily their most artistically admirable album since Chicago XI. The horns are downplayed a little bit, so this isn’t quite a return to their jazz-pop roots (though Lamm’s “I’d Rather Be Rich” would easily fit onto any of the Kath-era albums), but they’ve thankfully dispensed with the disco entirely and are back to rocking out, as evidenced by the manic opener “Manipulation” and the infectious piano-based stomper “Thunder and Lightning” (arguably the greatest song Seraphine ever wrote for the band), even though there was no full-time guitarist for the band at this stage. (Dacus was sacked after the last album and would join Badfinger shortly after. Session men Chris Pinnick and Mark Goldenberg split the guitar duties here in his place.) The Cetera-Lamm collaboration “Upon Arrival,” meanwhile, is a gorgeous and dreamy ballad reminiscent of a cross between Eric Clapton’s “Peaches and Diesel” (fittingly, Clapton’s then-producer Tom Dowd takes over production duties from Phil Ramone on this disc) and the Association’s “Never My Love,” while “Overnight Café” is a surprisingly appealing stab at light reggae. Odds are you won’t recognize anything here upon first listen, but you’re likely to be pleasantly surprised at just how much better this is than either of the two previous post-Kath albums and how many undiscovered gems there are to be found here. Columbia sadly ended up dropping the band after this record bombed, but this disc is the best-kept secret in the band’s catalog. Not many people even realize this album exists – his label made sure of that, doing little in the way of promoting it, lest Cetera leave his full-time band. Needless to say, the album was a massive bomb commercially, but it doesn’t sound like one. The idea that Cetera is nothing more than a soft-rock balladeer is frankly a bit of a myth – it was Cetera, in fact, who wrote the majority of Chicago’s hardest-rocking songs during their ill-advised disco period, and he certainly doesn’t skimp on the rock on his solo debut, either – he even opens the disc with a full-blown stab at arena rock with “Livin’ in the Limelight,” featuring an absolutely blistering solo from Steve Lukather that rivals the Toto guitarist’s fretwork on “Hold the Line.” “I Can Feel It” – co-written with (and featuring additional guitar from) the Beach Boys’ Carl Wilson – is nearly just as thunderous, while the slinky grooves of “Holy Moly” and the tastefully-subdued power ballad “On the Line” are just as infectious. Cetera’s also recruited some first-rate players to back him up here, including former Bread drummer Mike Botts and session greats Kenny Edwards, Mark Goldenberg, and Ricky Fataar (best known as Bonnie Raitt’s longtime drummer, though he also did a brief stint as a Beach Boy during the early ‘70s). 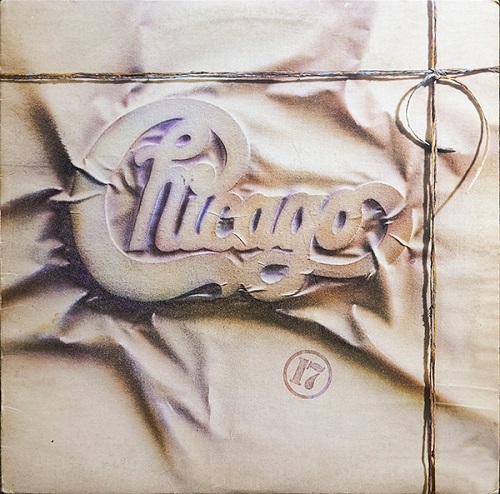 The album’s obscurity works in its favor, as this is nearly every bit as fun an album to wade through as Chicago XIV and discover all the should-have-been hits scattered throughout. Like Hot Streets, this is another slightly awkward transitional album, as the band has once again recruited both another new member and a new producer. They’ve made wiser choices this time out – the soulful Bill Champlin, best known at this point for co-writing Earth, Wind & Fire’s “After the Love Has Gone,” fits in with the band much better than Dacus, while David Foster’s experience as a co-writer and arranger for Earth, Wind & Fire in the late ‘70s meant that he was an especially suitable choice of producer for a band as famously horn-heavy as Chicago. Strangely enough, though, Foster ultimately ends up downplaying the horn section here, turning the band into more of a soft-rock act. Purists of the band’s jazz-rock sound of old will undoubtedly feel betrayed, but the move not only paid off commercially, but the band became a much better singles band under Foster’s direction than it had been during the previous seven years. The problem is, as the singles got better and better, the albums themselves became less and less interesting, foregoing any sort of artistic statements in favor of simply presenting the band’s latest singles and padding out the running time with obvious filler cuts like “Bad Advice” and “Chains,” though the Pankow/Foster co-write “What Can I Say” and the Seraphine/Champlin collaboration “Sonny Think Twice” have enough hooks and charm to work better than expected. The album ultimately boils down to its three singles, though. “Love Me Tomorrow” is merely good, not great, but “What You’re Missing” (an outside song penned by future Toto lead vocalist Joseph Williams that strangely got no further than #81, even though it’s better than “Love Me Tomorrow”) is one of the band’s most underrated post-‘70s singles, and the album boasts the second of the band’s three Number One hits in the gorgeous ballad “Hard to Say I’m Sorry,” penned jointly by Foster and Cetera and taken from the long-forgotten movie Summer Lovers. The song’s even better in its full-length version than it is in its more common radio edit, tacking on a brief, horn-driven, up-tempo coda called “Get Away” that momentarily returns the band to its jazz-rock roots and closes the album’s first side on an especially exciting note. 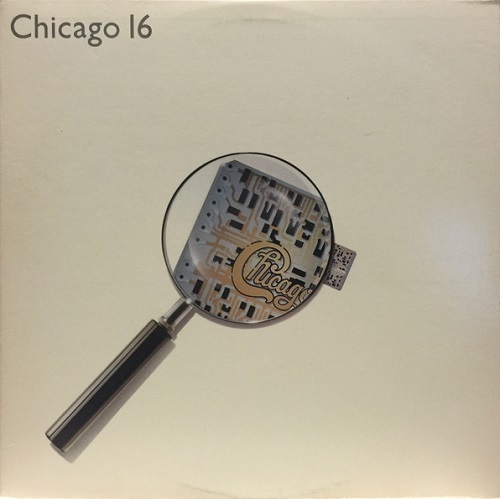 It’s definitely a spotty album and not nearly as fun a listen as Chicago XIV, but as a transitional disc, it’s more listenable and tasteful than Hot Streets. Easily one of the finest soft-rock albums of the mid-‘80s, this disc, like its predecessor, may just barely sound like the work of the same band that made Chicago Transit Authority at the close of the Sixties, but assuming you’re enough of a music aficionado to appreciate soft-rock and adult-contemporary pop just as much as the more adventurous jazz-rock of the band’s earliest years, there’s still an awful lot here to like, even if the band’s not nearly the albums act it was in its prime. Criticize David Foster if you must, but, while he undeniably watered down the band’s sound, downplaying its horns and its ability to rock as hard as any other band when they so desired, he also helped the band to remember how to write strong singles, and this album sports the finest batch of singles from any one Chicago studio album since Chicago VI a full decade prior. In total, there are four Top Twenty hits to be found here, a first for the band. “Stay the Night” is the band’s hardest-rocking single since “Thunder and Lightning,” while the R&B-tinged “Along Comes a Woman” is surprisingly danceable and should be a delightful surprise to those who mistakenly believe that Chicago did nothing in the ‘80s but ballads. The Top Ten hit “You’re the Inspiration” would become an instant soft-rock classic and still ranks among the finest songs David Foster’s ever had a hand in writing, while the equally appealing “Hard Habit to Break” is jam-packed with hooks from start to finish and makes the most of its exciting arrangement, which finds Champlin and Cetera (who’d sadly leave the band before the next record) alternating lead vocals. Even the surrounding filler here, like “Prima Donna” and “Once in a Lifetime,” is better here than it was the last time out. “We Can Stop the Hurtin’” might be pop fluff, but it’s well-crafted pop fluff and unexpectedly also features both Donny Osmond and Richard Marx on backing vocals, while “Please Hold On” was co-written by one of the biggest pop stars of the ‘80s stars, Lionel Richie. It's simply a shame that Foster didn't free the band to experiment elsewhere and make the disc something more than just an assortment of adult-contemporary pop sides. Cetera would sadly leave the band immediately after this, but he couldn’t have left on a more triumphant note commercially, as this was the band’s most wildly successful album in nearly a decade.